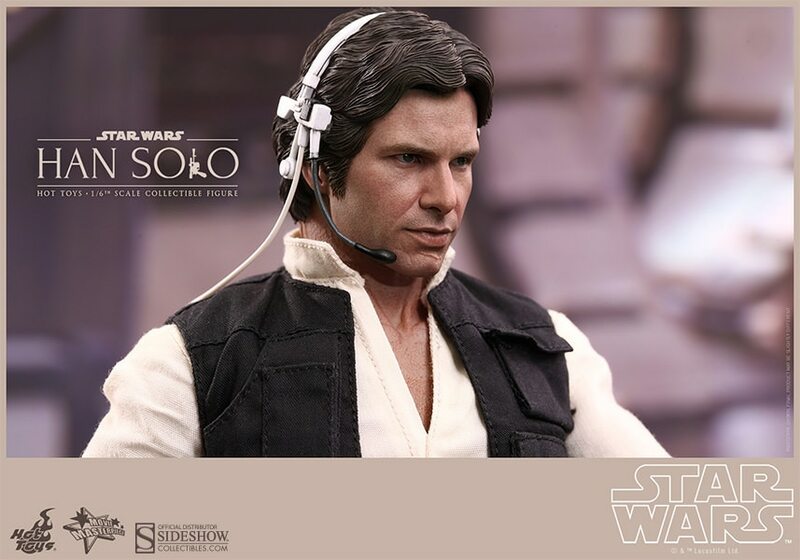 Originally an intergalactic smuggler from Corellia, the events of Star Wars: Episode IV A New Hope have opened up Han Solo’s heart and compassion to assist the Rebel Alliance in the struggle with the evil Galactic Empire. 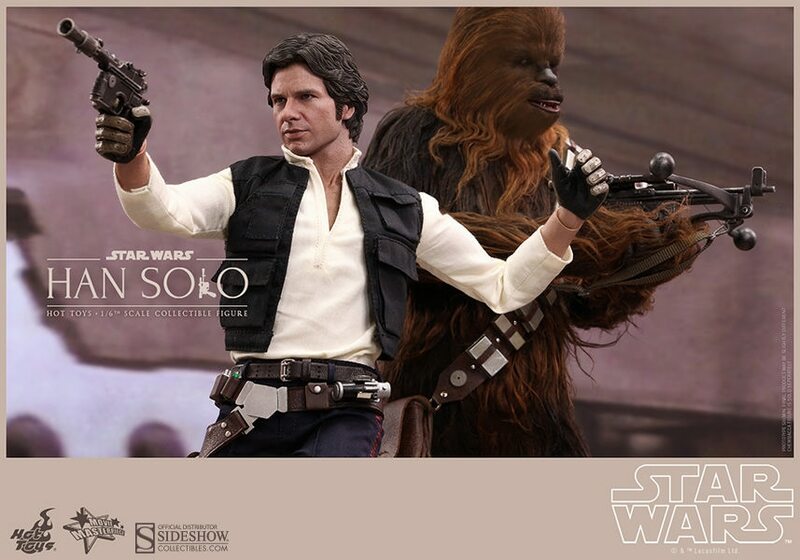 Han Solo along with his Wookiee companion, Chewbacca, helped successfully destroy the Death Star and became heroes of the Alliance! 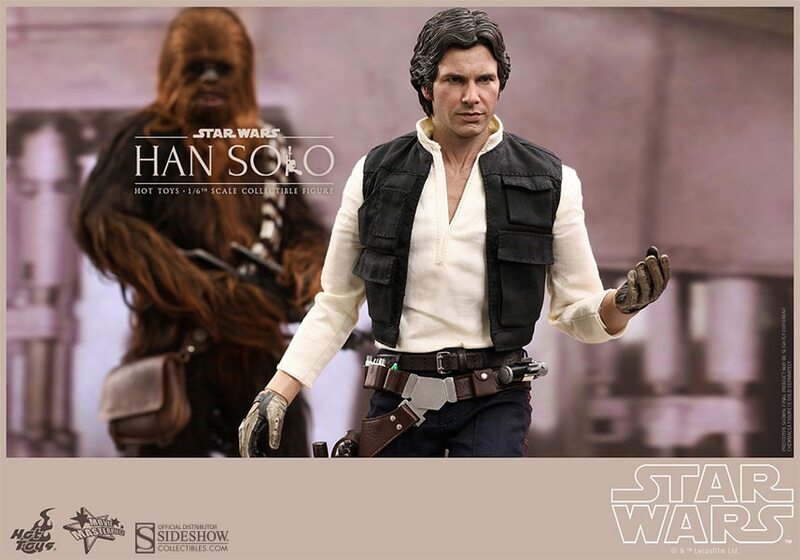 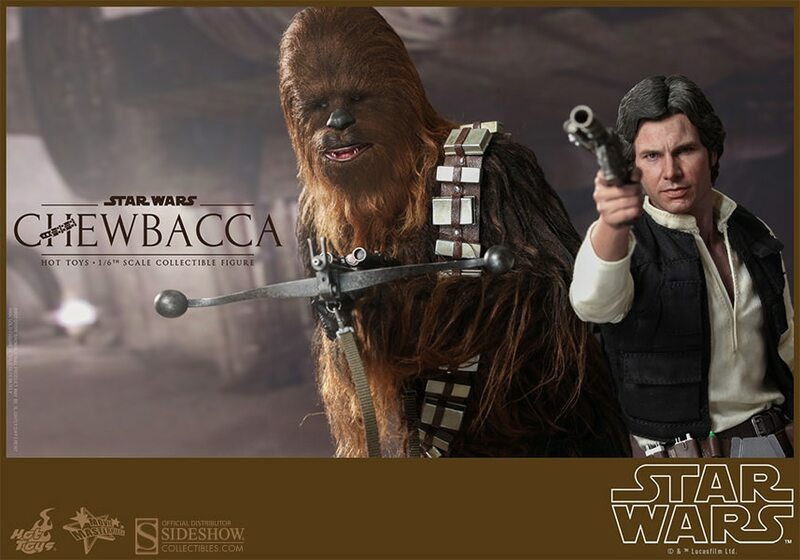 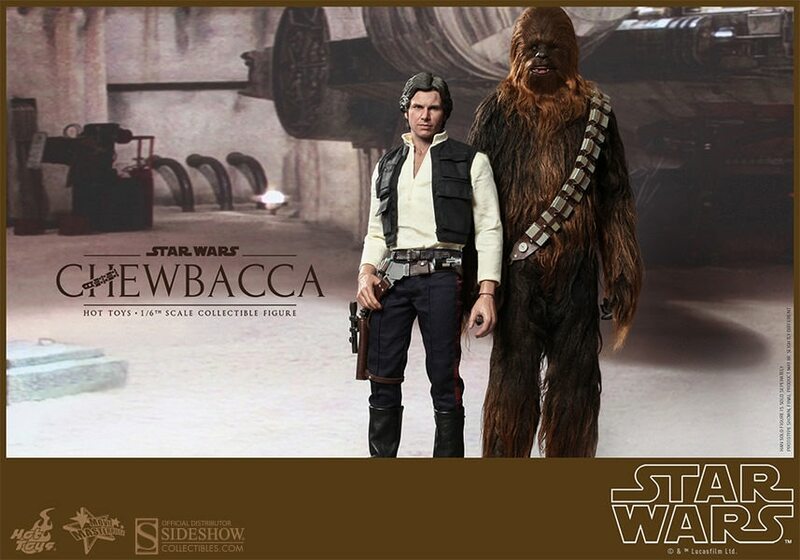 Sideshow Collectibles and Hot Toys are very excited to introduce a special set which will include 1/6th scale Collectible Figures of the beloved Han Solo and Chewbacca from Star Wars: Episode IV A New Hope! 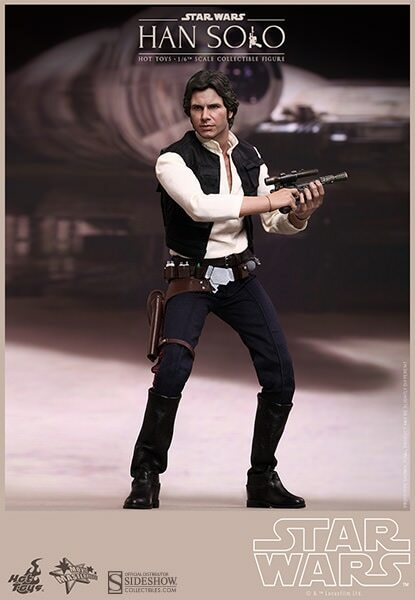 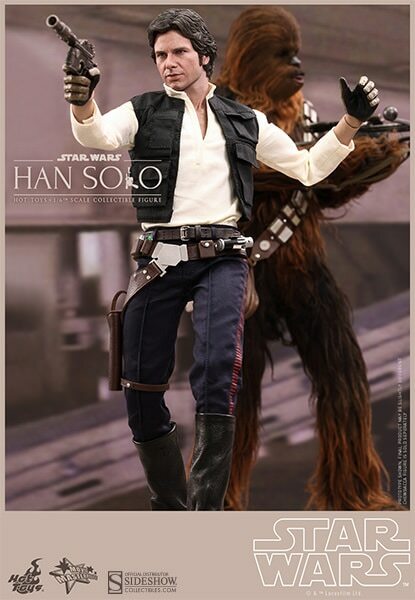 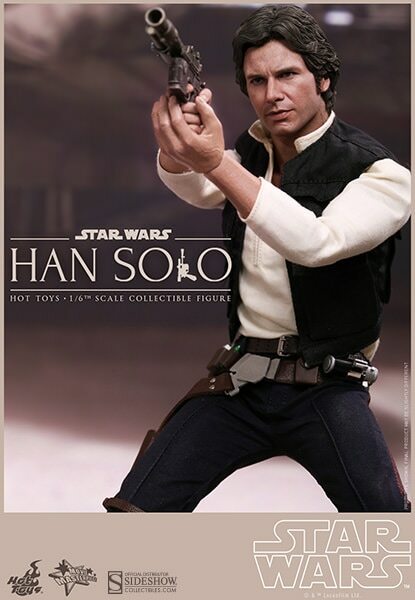 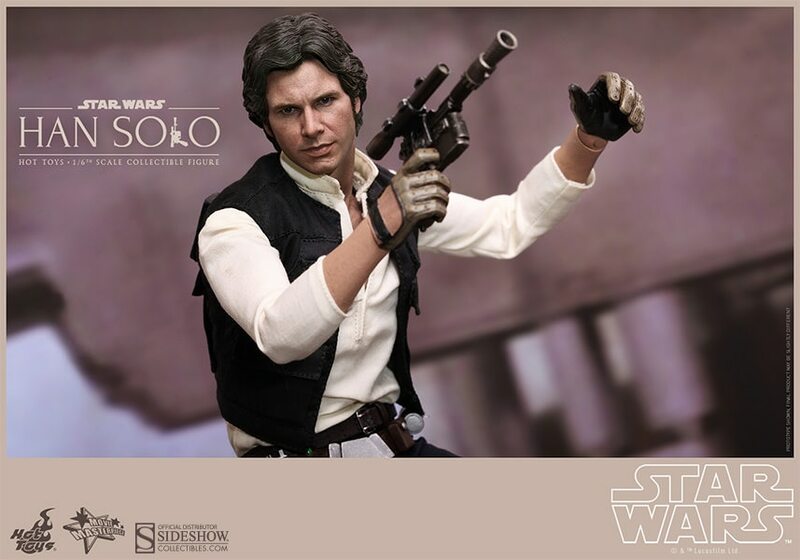 The movie-accurate Han Solo collectible figure is specially crafted based on the image of Harrison Ford as Han Solo in the film and features a newly developed body, highly detailed costume, weapons, accessories, and a specially designed figure stand. 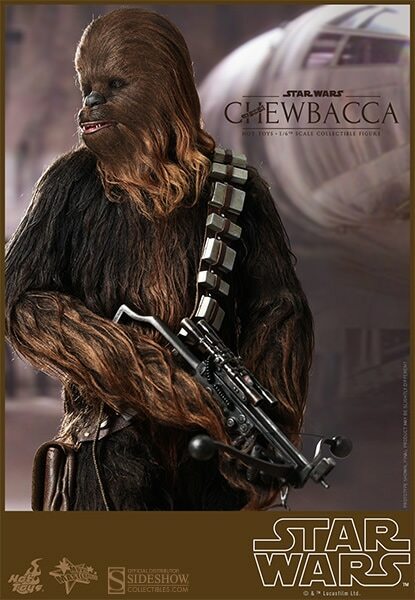 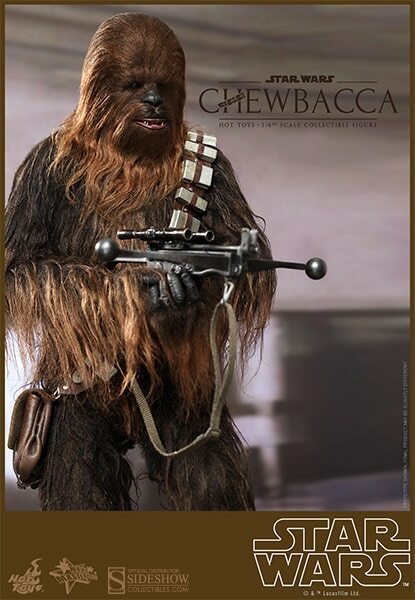 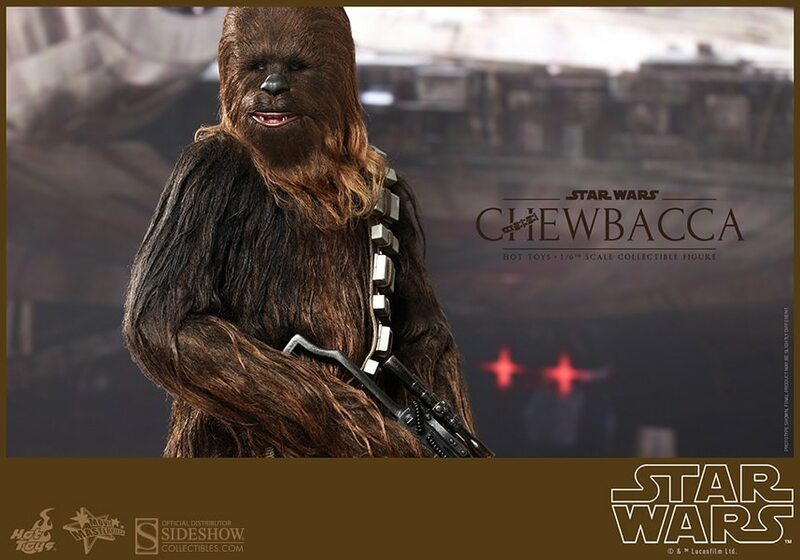 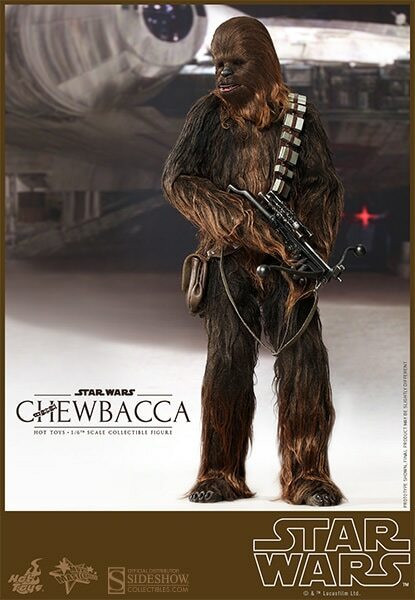 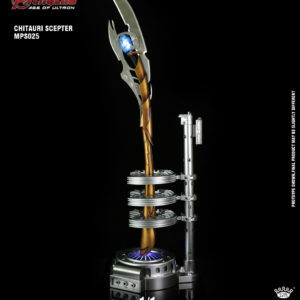 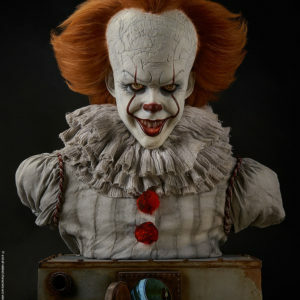 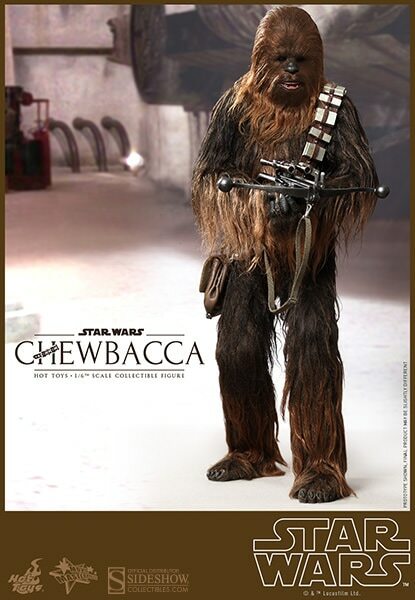 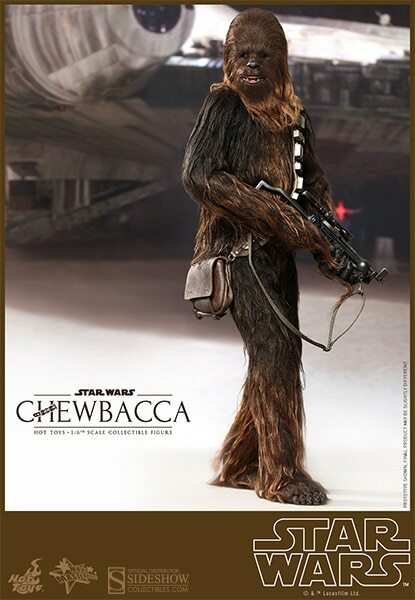 The movie-accurate Chewbacca collectible figure is specially crafted based on the image of Chewbacca in the film and features a newly developed body, brown fabric hair throughout the whole body that captures Chewbacca’s unique appearance, highly detailed bowcaster and accessory, and a specially designed figure stand. 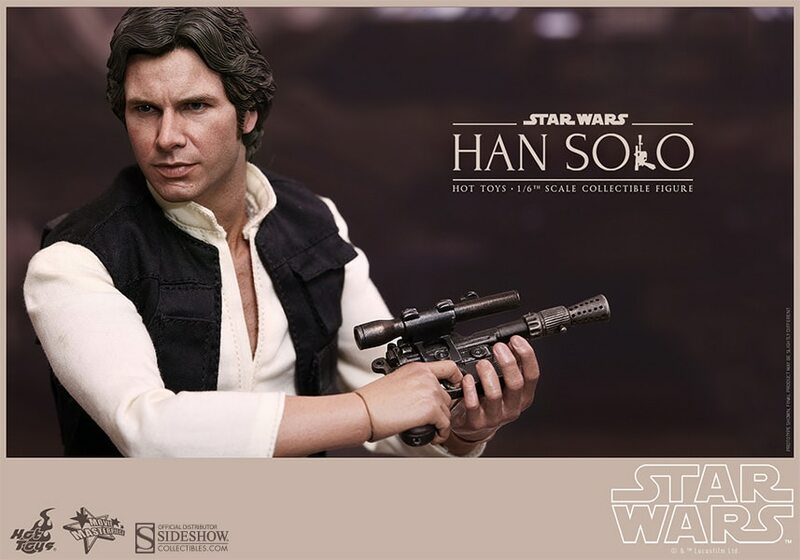 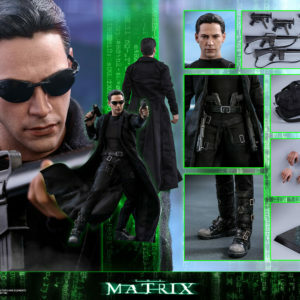 This Collectible Figure Set will include an additional Stormtrooper belt and blaster rifle for Han Solo and an additional heavy blaster for Chewbacca. 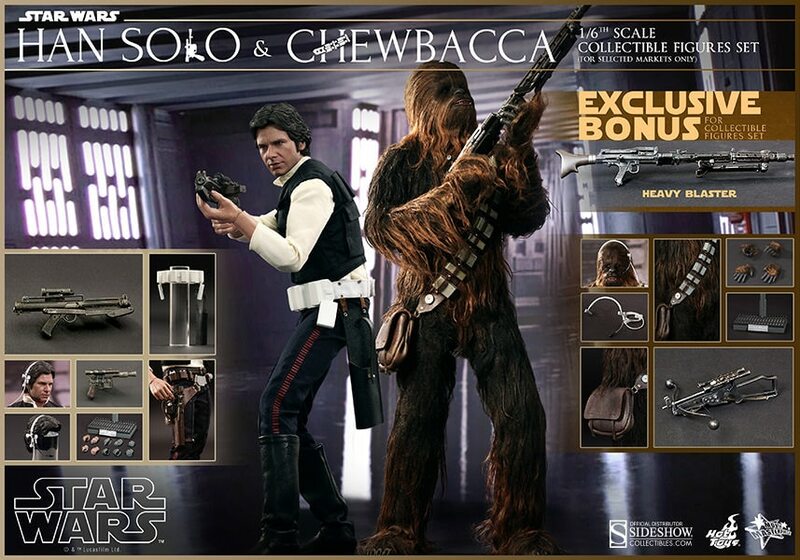 Star Wars fans shouldn’t pass up the opportunity to add this beloved duo to your collection!